Calling all weekend warriors and outdoor explorers - with a hatchback for added cargo space, you can haul all your outdoor gear (or bulk shopping run) and have room to spare. It easily seats 5! 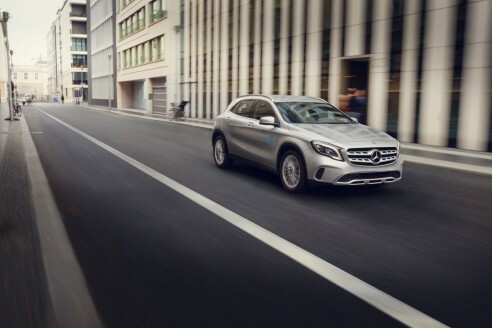 The GLA features include a rearview camera, Blind Spot Assist, heated front seats, Bluetooth, Apple CarPlay, Android Auto, and a panoramic sunroof. 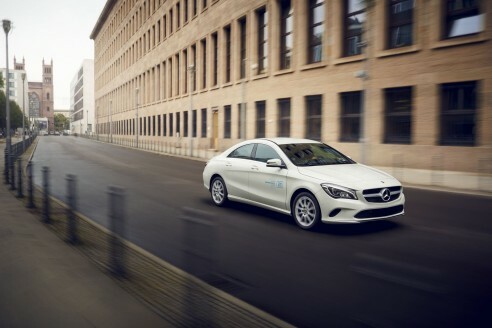 The CLA sedan has room for 4 - whether you’re riding solo or playing chauffeur for your friends, you’ll get there in style and comfort. It looks good on the outside - and the inside. Just like the GLA, the CLA includes a rearview camera, Blind Spot Assist, heated front seats, Bluetooth, Apple CarPlay, Android Auto, and a panoramic sunroof.